Our future, Solar Power for everyone .. Solar energy is the energy from the sunlight or in other words it is sunlight energy. It is now available and used by all people from all over the world. The benefits you derive from it counts a lot. Solar energy can be used with free of cost as nobody is the owner of it. There are many facts associated with solar energy. 1. By using solar energy, your expense gets reduced drastically. You will not have to pay electricity anymore because solar energy availability is very much free. 2.It is used abundantly in schools, hospitals and other places. As it is an unlimited source, it is highly advantageous. 4.Solar energy helps you in many ways and so it is environmental friendly. It does not create any harmful effects for the environment. 5.Sun is the ultimate source of energy and you will have to take care of it as it is taking of you in many ways. 6.Solar energy program is renewable source of energy. 7.Solar energy can be received through solar panels from which you can use solar energy for a long time. Solar panels are very easy to maintain it. Solar energy can be used even in rural areas where there is no availability of electricity. They are able to use solar energy for a long time as it is cost effective. Solar energy can be used in water pumping freely. Solar energy is pollution free. It doesn’t cause any kind of pollution for the society. Solar energy is very much pure and clean. Solar energy sustains the life of wildlife, living beings and many other creatures. Solar panels are long lasting and do not make any noise. Solar energy can be used for everyday use. For going green, it is important to adopt the use of solar energy. In the case of availability, solar energy is and inevitable source of energy as it is abundantly available. To reduce the electricity expenses, the right choice is to make use of solar energy. Solar energy does not make any kind of pollution for the society. In fact it is noiseless. Solar energy is a renewable source of energy where solar panels can be reused as it renewable. The source of solar energy is the sun that gives everlasting form of energy. Solar panels are available at reasonable costs in many parts of the country for people to get afforded. Solar energy is clean and pure and doesn’t contain any harmful constituents in it. You can even sell your solar energy to other sections of the society. 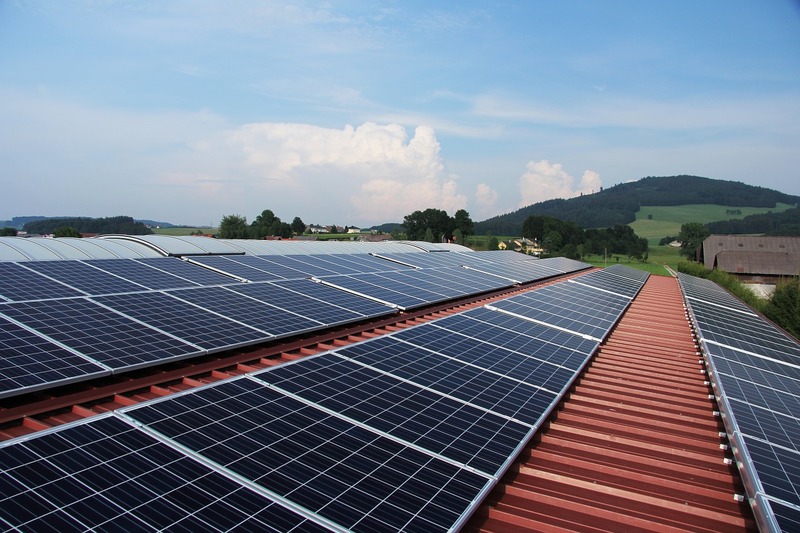 There are several reasons for using solar energy other than the above mentioned reasons. It is very beneficial for environment and your life.